Thursday, Feb 14, 2019, 12:30 – 1:20 p.m.
Dr. Landis’ current area of research is ecological risk assessment at large spatial and temporal scales. 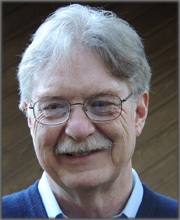 Dr. Landis’ research contributions also include: creation of the Action at a Distance Hypothesis for landscape toxicology, the application of complex systems theory to risk assessment, and development of the Relative Risk Model for multiple stressor and regional-scale risk assessment and specialized methods for calculating risk due to invasive species and emergent diseases. Since 2012 Dr. Landis has published a number of papers using Bayesian networks as the framework for ecological risk assessment including human well-being. He also has patents and papers on the use of enzymes and organisms for the degradation of chemical weapons. Dr. Landis has authored over 250 peer-reviewed publications, book chapters, and government technical reports, made over 300 scientific presentations, edited four books, and wrote the textbook, Introduction to Environmental Toxicology, now in its fifth edition. He has consulted for industry; non-governmental organizations as well as federal (U.S. and Canada), state, provincial, and local governments. Dr. Landis serves on the editorial boards of the journals Risk Analysis and and Integrated Environmental Assessment and Management. He is a member of the Society of Environmental Toxicology and Chemistry (SETAC) and served on the SETAC Board of Directors from 2000-2003. In 2007 he was named a Fellow of the Society for Risk Analysis and was named a Fellow of the Society of Environmental Toxicology and Chemistry in 2016. He served from 2010-2018 on the ]Science Panel for the Puget Sound Partnership, a state agency that focuses on the restoration of Puget Sound. In 2012 Dr. Landis was presented the Lifetime Achievement Award of the Annual International Conference on Soils, Sediments, Water and Energy.